I'm sure I'm not the only girl obsessed with mattes at the moment, matte lipsticks, matte eyeshadow, matte blushes you name it, if it's matte I love it! 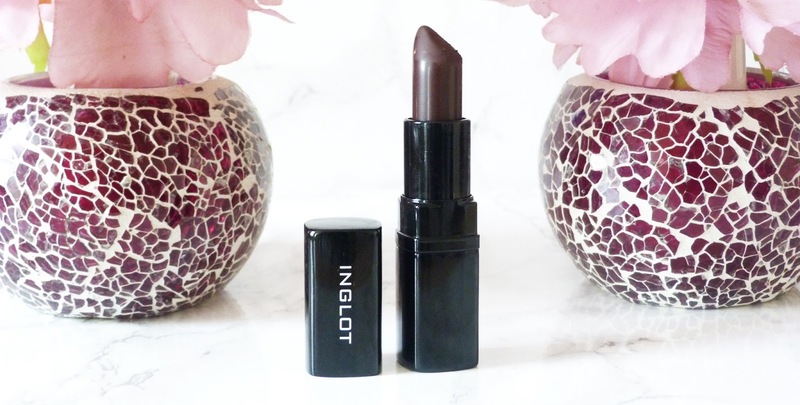 Inglot has a beautiful collection consisting of 10 new matte eyeshadows, 10 new matte lipsticks, 10 new liquid lipsticks, 5 new lipliners and 6 new nail polishes. 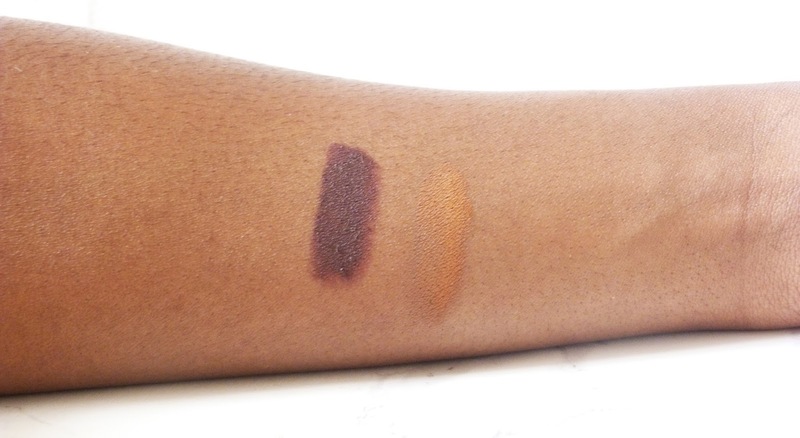 The first time I swatched these two products in store I was instantly in lurveee; I had finally found a lipstick and eyeshadow that ticked all the boxes: matte, warm, dark skin friendly, and last but not least.. bank account friendly! 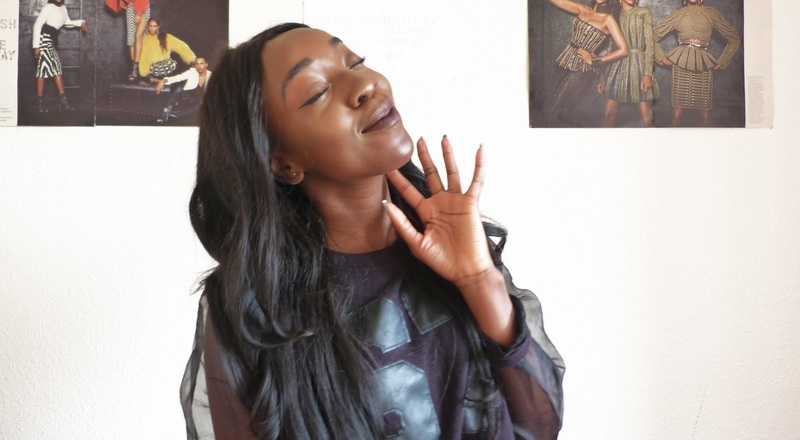 The lipstick is a stunning dark rich brown, with dark purple undertones, a perfect pick for anybody that lives for making a statement through their lip colour and loves vampy shades. 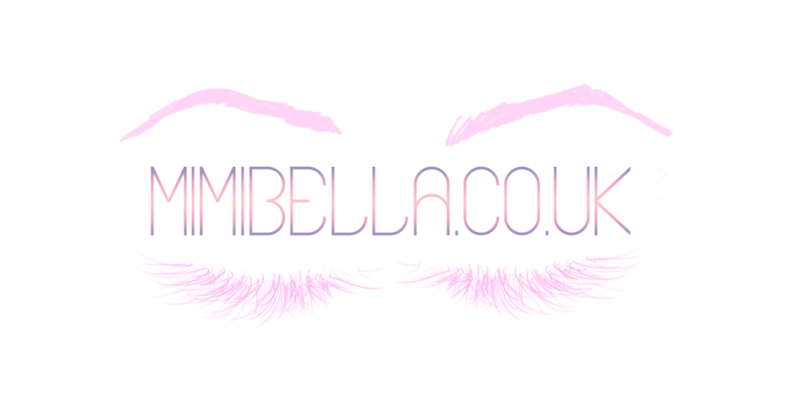 The colour pay off is great; the lipstick is very matte, lasts all day and makes my teeth look super white, however you will need to exfoliate and moisturize your lips very well when using this lipstick. The eyeshadow is a gorgeous warm mix between orange and brown, it makes a perfect transition shade for women of colour, or even all over the lid (which is what I do); on a lighter complexion this would look heavenly as a crease colour to create a natural warm smokey eye. The love for this eyeshadow is so real that I have used this everyday since I bought it, and have even bought one for my little sister! The colour pay off is good, easy to build up and blend without making a mess. 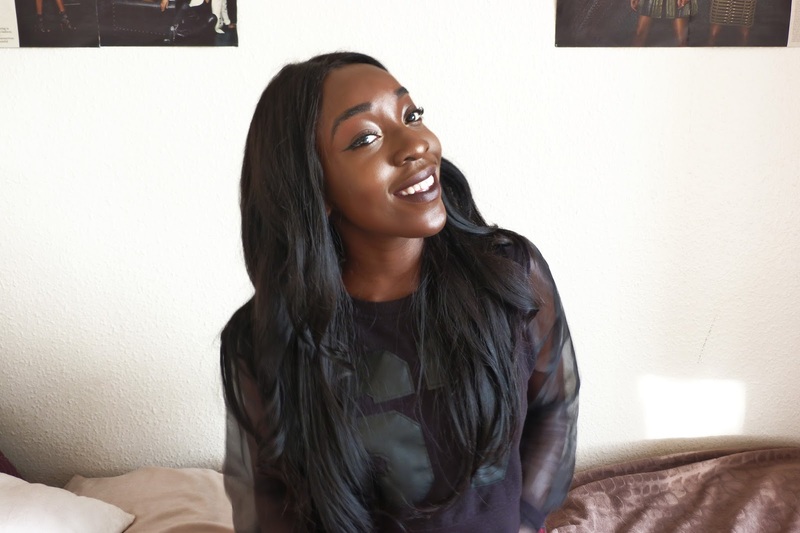 The lipstick retails for £13, which compared to drugstore brands is a little bit expensive but the quality exceeds any drugstore lipstick in my opinion, and is on par with higher-end brands such as MAC which retail for £16+. Each lipstick also contains Vitamin E, macadamia oil and avocado oil so you can be assured that your lips are protected and nourished when wearing the lipstick. The eyeshadow retails for £5 for the pan, which is very affordable, however you may want to purchase a palette to store it in, Inglot have a wide variety of different ones, and you can then pick and mix and create your own perfect eyeshadow palette.